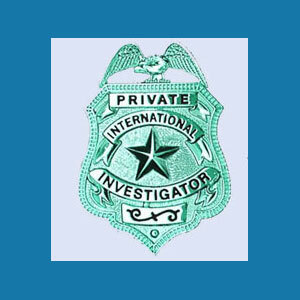 A private investigator badge is a piece of official identification that is sometimes carried by a licensed and qualified professional detective. Badges can be tricky items when carried by non-law enforcement personnel, so it is crucial to understand the exact letter of the law concerning official shields in the area where you live and work. This guide provides an overview of investigation badges, including where to buy them, why they are legally-regulated and how shields may prove useful in certain case circumstances. You should never carry a private detective badge, or any official shield, unless you are a licensed member of that profession. Doing so can get you into deep trouble with local law enforcement, should you be caught by police. Badges are often used for committing fraud, and other more serious crimes, so their usage is typically highly regulated. If you are a licensed professional investigator, and decide to carry a badge, make sure you keep your identification card with the shield at all times. This will help to positively identify you as the real deal and not someone carrying the badge illegally. Remember that when entering a court building, or other government location, you may be subject to a metal detector search which will locate badges kept under clothing or in a bag. There are many suppliers to the trade which manufacture and sell badges for a wide range of investigation niches and titles, including private investigator, private detective, bounty hunter, bail enforcement agent, security officer, repossession agent and process server. These shields can be purchased in person at retail locations, through the mail, in catalogs or online. Be cautious when using companies which do not ask for proper credentials when purchasing an official shield of any type. These businesses may sell to unauthorized users, which can be trouble for the entire investigation industry. Besides the badge itself, many investigators purchase a carrying case to keep the shield and their ID cards and/or license. This is a good idea, since it keeps the shield discreetly covered when not needed and confirms the legitimacy of the user by displaying the official license or identification card along with the shiny new badge. Remember to learn the exact letter of the law in your area which covers carrying and displaying an official shield. Breaking these laws can cause you big problems and can even lead to your detainment or arrest. This is especially true at locations where law enforcement is very strict, such as train stations, airports and municipal buildings. If you do decide to carry a badge, and are legally entitled to do so, make sure to buy one which truly represents the quality of your work. There are many custom styles available and badge makers will go out of their way to provide a shield which will reinforce your credibility and authority within the normal functions of your assignment.